Pinjarra is a town in the Peel region of Western Australia along the South Western Highway, 86 kilometres (53 mi) from the state capital, Perth and 21 kilometres (13 mi) south-east of the coastal city of Mandurah. Its local government area is the Shire of Murray. Pinjarra is a rural service town which, in recent times, has become a popular daytripper destination for Perth holidaymakers wanting to visit the local zoo or take pleasant walks in the hinterland. It has had a star-crossed history being the setting for one of the bloodiest massacres of Aborigines in Western Australian history and the home of Fairbridge, a British child migration scheme housing facility, which resulted in appalling abuse of hundreds of the children between 1913 and 1981. There is a monument to the Battle of Pinjarra, as it was called, on the Great Southern Highway at edge of town. Pause and consider that this was one of the most infamous incidents in the relations between Europeans and the local Aborigines and it is a story which deserves to be remembered. Cooper’s Mill which is located on Culeenup Island and is only accessible by boat. It was the first flour mill in the Murray region. Joseph Cooper built it by collecting limestone rocks and, every morning, sailing them across to the island. Cooper began work on the mill in 1843 but he was killed in an accident before it was completed in 1850. Cooper was a wheelwright so he had the skills to make the machinery. His sons Thomas and James inherited the mill and with the help of Dan Myerick, a carpenter, and Josiah Stinton it was completed. Mandurah is a coastal city in Western Australia, situated approximately 72 kilometres (45 mi) south of the state capital, Perth. It is the state’s second-largest city, with a population just ahead of that of Bunbury. The city of Mandurah is the fastest growing regional city in Western Australia. Mandurah Region has been a favourite holiday destination for many years. Mandurah City is the perfect base for exploring the region with luxury hotels and resorts and lovely B&Bs to be found. Spend your days exploring the region and your nights in the city’s gourmet restaurants and cafés overlooking waterfront boardwalks. Close to Perth, the only driving you need to worry about is from the tee of the superb golf courses surrounding the city. Mandurah’s central business district is located on the Mandurah Estuary, which is an outlet for the Peel Inlet and Harvey Estuary. The city takes its name from a Noongar word meaning “meeting place” or “trading place”. A townsite for Mandurah was laid out in 1831, two years after the establishment of the Swan River Colony, but attracted few residents. Until the post-war boom of the 1950s and 1960s it was little more than a small fishing village. In subsequent years, Mandurah’s reputation for boating and fishing attracted a large number of retirees, especially to the canal developments in the city’s south. The 1000-hectare suburb of Halls Head was developed during the 1980s by the Parry Corporation and the state Government Employees Superannuation Board—one of the notorious WA Inc deals which later gave rise to a royal commission. Mandurah is considered to be the unofficial gateway to the South West and possesses a variety of tourist attractions, especially based around the water. 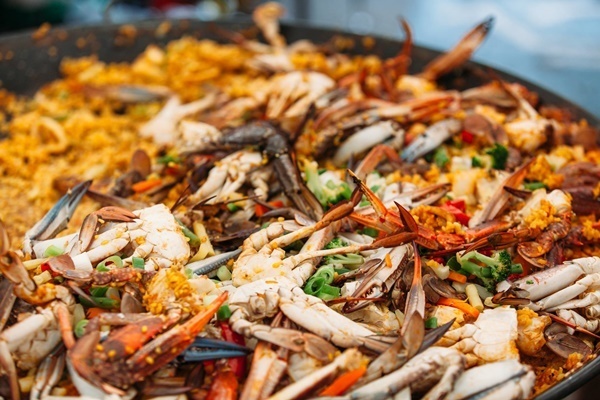 It is a major fishing and crabbing area in Western Australia, with the city well known for the blue manna crab (Portunus pelagicus) with a festival held in early March known as Crabfest. Like neighbouring settlements Bunbury and Rockingham dolphins and whales frequent the city annually and dolphin and whale watching are a popular pastime. In December, the canal areas in Mandurah becomes well known for their Christmas lights and special boat cruises are often promoted as a result. Two zoos lie within the outskirts of the city, as well as a miniature village, a tourist railway and a national park. Secret Harbour is an outer southern suburb of Perth, the capital city of Western Australia, located within the City of Rockingham on the Indian Ocean coast at Comet Bay. Satterley has released two new land developments since 2008. These are the Spy Glass Hill development, and the future planned beach front development, including two-to-three-story townhouses, a five-story apartment complex, and a gated community. Satterley is also looking at releasing land in the beach front district for the building of restaurants and cafes. Furthermore, Satterley is currently expanding the shopping centre to accommodate the growing population, with the addition of further specialty stores and eateries. These businesses include Aldi, Coles, Priceline, Smokemart and Dome, with the expansion anticipated to be completed in the first quarter of 2017. Secret Harbour is connected to Rockingham to the north and Mandurah to the south by Mandurah Road, which forms the suburb’s eastern boundary and is part of the national Highway 1 network. Additionally, Warnbro Sound Avenue provides suburban access to Port Kennedy, Waikiki, Warnbro Fair and Rockingham shopping centres. Several Transperth bus routes terminate at Comet Bay College and provide connections to Rockingham railway station. The 558/559 operates along Warnbro Sound Avenue in the suburb’s centre, whilst the 561 serves the western part of the suburb and the 563 serves the eastern part. Additionally, the 558 connects to Mandurah railway station. All buses are operated by Trandev WA. Port Kennedy is an outer southern suburb of Perth, the capital city of Western Australia, located within the City of Rockingham. Port Kennedy is built on Becher Point and because of its geomorphological history it is home to an unusual wetland formation, called the Becher Wetland Suite. These wetlands are linear in form rather than circular and have formed in dune swales parallel to the coast. Some wetlands have been absorbed into the Port Kennedy golf course and the remainder are protected in the Port Kennedy Scientific Park. Port Kennedy is named after a feature in the southeastern corner of Warnbro Sound which was initially named by Surveyor-General John Septimus Roe in 1859 after the Governor of Western Australia (1855–1862), Sir Arthur Edward Kennedy. Port Kennedy Primary School opened in 1996 and is part of the Department of Education and Training’s Peel District. Initially, with an enrollment of 300 students, the school has grown to about 670 (2009) with a staff of approximately 55. Endeavour Schools is another primary school located in Port Kennedy which has an education support centre. Baldivis is a semi-rural residential suburb 46 kilometres (29 mi) south of the central business district of Perth, the capital of Western Australia, and 11 kilometres (6.8 mi) southeast of the regional centre of Rockingham. It is located with the City of Rockingham local government area. The name of Baldivis was thought up by settlers in the area who were attracted to the region by the 1920s Group Settlement Scheme. The name derives from three ships which travelled to Western Australia in 1922, all within six weeks of each other, bring settlers under the scheme. They were named BALranald, DIogenes and the JerVIS Bay. It was the maiden voyage for all three ships and they were all built in the same shipyard in the same year. The main shopping facilities in Baldivis are located in the area known as the Baldivis Town Centre, on Settlers Avenue, and includes the Baldivis Shopping Centre (opened in mid-2007) owned by Stockland. Extensions completed in 2015 expanded the existing Shopping Centre (which already housed a Coles) to include a Food Court/Restaurant precinct, increased car park numbers, a Kmart and a Woolworths. Baldivis is serviced by the Transperth 564 bus route, operated by Transdev WA, which operates from Warnbro Train Station. This route services the Baldivis Town Centre during business hours, travelling through Settlers Hills via Arpentuer Drive through Evermore Heights, The Ridge and Terminate in The Dales (Smirk Road). Route 567 services The Rivergums and Heritage Park. Rockingham is a city and primary centre in Western Australia south-west of the Perth city centre and south of Fremantle. It has a beachside location at Mangles Bay, the southern extremity of Cockburn Sound. To its north stretches the maritime and resource-industry installations of Kwinana and Henderson. Offshore to the north-west is Australia’s largest naval fleet and submarine base, Garden Island, connected to the mainland by an all-weather causeway. To the west and south lies the Shoalwater Islands Marine Park. Rockingham is topographically flat, has sandy soils and coastal vegetation. It has a northern aspect to Cockburn Sound, from Rockingham Beach and Palm Beach. Rockingham received its name from the sailing ship Rockingham, one of the three vessels bought by Thomas Peel to carry settlers to Western Australia (the others being the Gilmore and the Hooghly), arriving in May 1830. The Rockingham was blown ashore and eventually abandoned after failed attempts to refloat her. She eventually broke up, having sunk in shallow waters. Settlers supposedly camped near the wreck used the name “Rockingham Town” as their address. Rockingham is served by two substantial shopping districts, an extensive precinct near the local-government offices; and the older Rockingham Beach “high-street” shops. The former includes several fast-food outlets, a petrol station, the Rockingham Centre, medical practices, restaurants and two multi-screen cinema complexes. Many of the older beachside shops have either switched to catering for tourism and recreational visitors, or have been redeveloped in a blend of high-rise residential units and associated services such as restaurants. Other shopping centres, located at nearby Waikiki, Warnbro and Port Kennedy add to available variety and choice. The City of Kwinana is a local government area of Western Australia. It covers an area of approximately 118 square kilometres in metropolitan Perth, and lies about 38 km south of Perth CBD, via the Kwinana Freeway. Kwinana is a Kimberley Aboriginal word meaning either “young woman” or “pretty maiden”. The ship SS Kwinana was wrecked on Cockburn Sound in 1922 and blown onto Kwinana Beach. The nearby area acquired the name and it was officially adopted for a township in 1937. Some of its suburbs take their names from the sailing ships that first brought immigrants to Western Australia, for example, Medina, Calista and Parmelia. That said, Kwinana is not just an urban sprawl, there are three public beaches at Cockburn Sound looking out to Garden Island. The SS Kwinana herself is actually part of the former jetty at Kwinana Beach. The rusting hulk of the ship was cut down to low water level and the centre was filled with limestone to form a platform. There are also wetlands and bushlands in the Kwinana area. The Spectacles are the local wetlands and are so named because of their appearance from the air. Kwinana also is home to a centre of attraction for Drag Racing, Dirt Track Speedway, Burnout Competitions, Street Machine shows and Super Cross events. The Perth Motorplex (formerly known as Quit Motorplex) opened in December 2000 at a cost of A$20 million with catering, licensed bars, state of the art stadium lighting and the “Snake Pit”, a purpose built and dedicated burn out section. The venue holds many prestigious events including the Westernationals (drag racing), World Series Sprintcars (speedway) and Motorvation (car show). Parmelia is a southern suburb of Perth, Western Australia, located in the City of Kwinana. Parmelia is one of the Kwinana suburbs named after a ship. The Parmelia was the first ship to arrive in June 1829 bringing settlers to establish the new colony at the Swan River in Western Australia. Parmelia is a family orientated suburb with many young families and retirees and is a very liveable suburb of Perth. There is a recquatic centre which features a gym, swimming pool, spa and sauna, and sports courts for basketball, indoor soccer and other sports. The Kwinana Recquatic is embarking on a $6,000,000 refurbishment project which is set to re-launch the centre as Kwinana’s premier fitness and recreation facility. Chisham Avenue is the main residential street which runs through the suburb. It features an array of homes built during the 1970s which were once home to the managers for BP’s oil refinery industrial operations and company executives. Wellard is a suburb of Perth, Western Australia, located within the City of Kwinana. It is Perth’s first transit-oriented development on the Perth to Mandurah rail line. Residents can reach the Perth CBD in less than 30 minutes and Mandurah in 20 minutes, while an integrated bus service provides access to the major centres of Kwinana and Rockingham. The Wellard Train Station is at the heart of the community. A Village Centre is being developed around the Wellard Station that will contain retail, residential, commercial and community facilities, including a range of mixed-use and medium-density sites. The residential component ranges from large traditional freehold homesites to urban apartments. A new Wellard Square shopping precinct is being designed to form a ‘main street’ linking the Train Station, and a piazza-style meeting area at one end, with a community centre at the other. Woolworths has signed a long-term lease to become the anchor tenant at Wellard Square, with a series of other brand-name retailers, specialty stores and fast food outlets to follow. Wellard railway station is located 37.3 km (23.2 mi) south of the Perth central business district. A journey by train from Wellard Station to Perth Underground Station takes about 30 minutes. A journey from Wellard station to Mandurah station takes around 22 minutes. Armadale is a suburb of Perth within the City of Armadale, located on the south-eastern edge of Perth’s metropolitan area. The major junction of the South Western and Albany Highways, which connect Perth with the South West and Great Southern regions of Western Australia respectively, is located within the suburb. It is also the terminus of the Armadale railway line, one of five major railway lines to service Perth It is also known by locals as armahole. Located just 40 minutes South East of the centre of Perth, nestled amongst scenic parks, undulating hills and picturesque valleys, with cultural heritage and a unique community feel – is the modern City of Armadale. Situated within the foothills of Perth, Western Australia and on the outskirts of several regional and national parks, Armadale is the perfect escape for outdoor explorers. Or for those wishing to leave the hustle and bustle of the city behind and get better acquainted with nature, history and humble community attractions. Whatever you seek, Armadale has it all. There are a lot when it comes to Armadale’s more popular and accessible natural and cultural attractions. Local Court complex at the Jull Steet has a Regional Magistrate’s Court. This has caused Armadale to be unfairly described as a crime hotspot in the Perth Metropolitan region. The Minnawarra Park, Orchard Avenue, Armadale is home to the History House Museum and the accompanying historic church and school. The school building was relocated from the corner of Third Road and Church Avenue to this site in 1987, in one piece, the first such relocation of a brick structure undertaken in Australia. Kelmscott is a southeastern suburb of Perth, Western Australia in the local government area of the City of Armadale. It is 23 kilometres (14 mi) southeast of Perth along the Albany Highway. The suburb of Kelmscott is bisected by the Canning River. On the western side of the river is the flat coastal plain upon which most of Perth is situated. This area includes the Stargate Kelmscott and Kelmscott Village shopping areas along Albany Highway, the light industrial area, the Kelmscott Senior High School and a residential area. To the east, the suburb rises into the western Darling Scarp. Kelmscott celebrated its 175th anniversary on 9 October 2005. The highlight of the celebrations was the running of the Hotham Valley Railway steam locomotive Pm706 from Perth railway station to Kelmscott station, with stops at Cannington, Gosnells, then Armadale station. This was the first running of steam “under the wires” on the Transperth network for some time. The event was specially arranged by the Public Transport Authority, whose Minister is also the member of parliament for the local electorate. Kelmscott is home of the first Red Rooster restaurant, as well as Australia’s busiest drive-through KFC service. Oakford is an outer suburb of Perth, Western Australia, within the Shire of Serpentine-Jarrahdale. The suburb was named in 1982, taking its name from a townsite briefly declared in the area in 1926. There are tonnes of fun things to do in Oakford & Oakford’s surrounds. Getting out into the great outdoors is good for the soul. Jandakot regional park is placed in suburbia and is easily accessible within many estates South of the River. A full day can be spent exploring the different trails either by foot or bicycle. Many residents take their dogs too. Take a picnic, put on your headphones and oound the pavements all around this beautiful regional park. 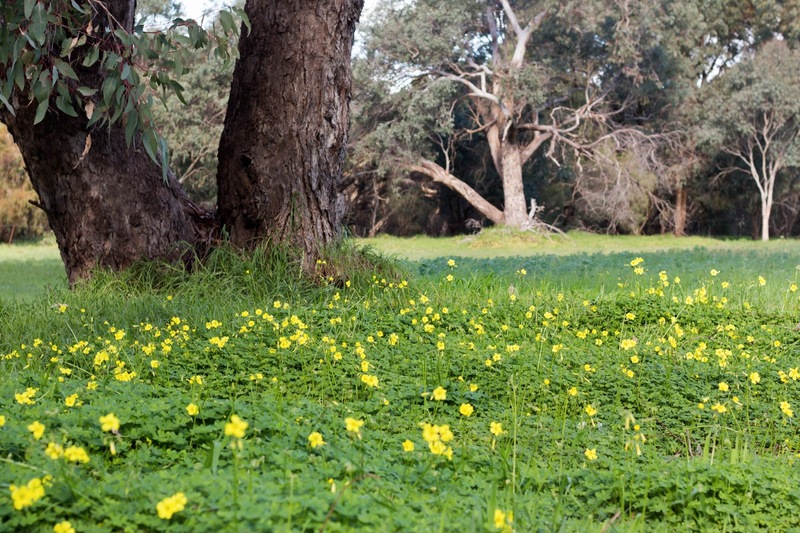 Jandakot Regional Park has numerous bridle trails that meander through the park through a range of intriguing landscapes including banksia woodland, wetlands and rural remnants .